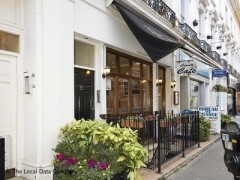 About: Craven cafe serve a variety of English dishes as well as a selection of sandwiches, salads, snacks and beverages. Seating on the terrace area is provided, weather permitting. Great Customer Service! great food!